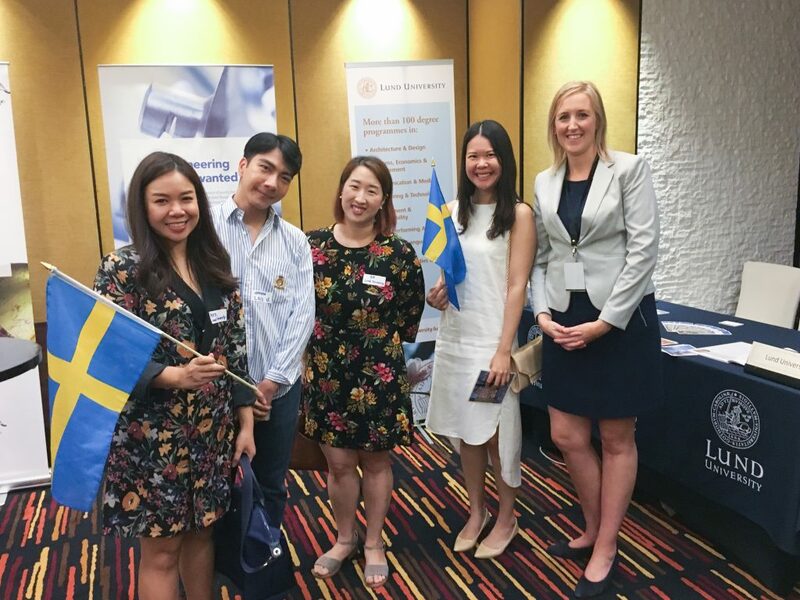 At the end of last year, Lund University caught up with alumni based in Thailand, as part of a Career and Alumni Networking event organised by the Thai-Swedish Chamber of Commerce. The event brought together eight Swedish universities as well as several Swedish companies based in Thailand, including Tetra Pak, IKEA, Volvo, Atlas Copco, Astra Zeneca. The evening was an opportunity to network with prospective employers and alumni alike. The event took place as part of the Swedish Education and Career Days in Bangkok, with Swedish universities, Swedish companies, the Embassy and Thai-Swedish Chamber of Commerce collaborating and attending the OCSC Expo (Higher Education Fair) and visits to two Thai universities. This entry was posted in Alumni Events, Updates. Bookmark the permalink. See you in Brussels in May!